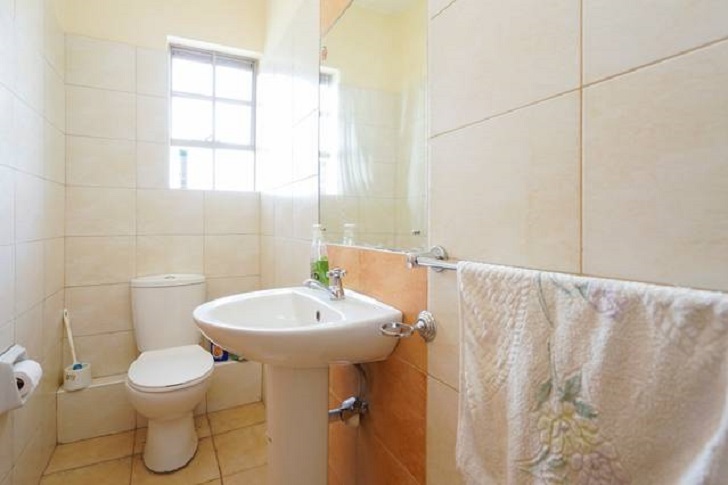 It is important to keep your bathroom neat and tidy as well as routinely quick clean it, this is a great practice and goes a long way in maintaining the overall sanitation of the room. The bathroom is typically one of the rooms in your home that is in most need of specialized treatment in terms of deep cleaning, it is regularly used and builds up grime quite fast, deep cleaning focuses on the hard to reach and harder to clean areas of your bathroom. You have to take steps to keep your bathroom looking presentable and usable from week to week, we explore the ways in which you can practice keeping your bathroom clean by deep cleaning it. The first step to cleaning your bathroom is to figure out a checklist of the items that need attention. On your list make sure to include places like the bathtub and shower, sinks, counters, the toilet, light fixtures, mirrors, floors and tile grout, bathmats and shower curtains, trash cans as well as other items you have in your bathroom. When you have noted which areas need to be cleaned, get cleaning supplies making a note to pick items that will meet the requirements for each area of difficulty in terms of specific cleaning. You will want to use cleaning items like detergent, baking soda and vinegar, grout and floor cleaner, buckets, brushes, and mops. To deep clean these, you spray your all-purpose cleaner on each surface and let it sit, while this works you can wipe down the items you took out of the shower such as your washing gels and hand brushes. After you are done with this, wipe down the surfaces with a microfiber cloth and work your way around until all are clean; a microfiber cloth is preferred as it is made of small fibers making it easier to work within attaching small dust particles. If there are stubborn spots or stains on these areas then you may need to use a specialized or heavy-duty home cleaner, you let it sit for a longer period and wipe clean. To clean your sink, you can use a mixture of vinegar and water to wipe down the surface and polish the fixtures with a cloth. For your faucets and showerheads you can use a 1:1 mixture of water and vinegar, fill a plastic bag and tie it to the fixtures leaving them to soak overnight then remove. If your bathtub is plagued by stubborn stains use an all-purpose home cleaner, spray your tub and let it sit for 20 minutes then scrub and wipe down with a cloth; if however the stains that will not clear, you can try applying a layer of baking soda on the surface letting it sit for 20 minutes then rework the cleaning with a microfiber cloth. To deep clean your toilet you may choose to use a heavy duty cleaning detergent or if you want a natural ingredient you can opt for something mild such as Castille soap. Pour your chosen detergent down the sides of your toilet and scrub all surfaces with your toilet brush; the next step is to pour a half cup of scouring powder along the sides in a thick layer and let it sit for about 15 minutes. You can then scrub your toilet with the brush taking extra care of the rim and siphon jets, you can use a smaller brush to reach the harder areas; in order to finish everything off flush your toilet. There are areas of your toilet that need extra care but are unfortunately often forgotten, the edges of the toilet base can be taken care of with a smaller hand brush; create a paste of baking soda and water then spread it in all the target areas of grime build up or difficult reach and let this sit for 15 minutes finally wiping it down with vinegar. For the grout in the tiles, you can look for a commercial grout cleaner from your local homecare store, you apply it liberally on the surfaces using a sponge to apply evenly and ensure you get every spot. It is advisable to let your cleanser sit for 10 minutes then start to scrub your tiles with a grout brush or hand brush, after that you rinse the surface and then wipe them down with a clean dry towel. Most bathrooms have floor tiles as these work best in rooms where water usage is prevalent, the first step is to sweep your floors or vacuum them on the hard surface setting. To clean your floor you can use a mop dipped in a mixture of purpose cleaner and grout cleaner, if there are spots on your floor that have stubborn staining use a brush. It is important to note that you should use cleaners that are safe for the type of tile you have to avoid ruining your floors. It is advisable to give your bathroom a good deep cleaning at least once a month to keep the buildup of grime, dirt, and mold from building up as well as keeping your bathrooms pleasant to use for yourself and those that visit. A great treat for your bathroom is also to have it professionally cleaned every once in a while just to ensure everything is kept u to higher standards.